We want to announce our patient appreciation day on Thursday December 8th from 8:00 am to 6:00 pm! 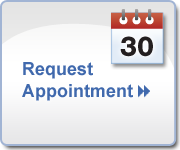 Be sure to bring your friends and family for their free exam and adjustment while you are receiving your free 10 minute massage and adjustment! To get into the holiday spirit and the true meaning of the holidays you, your friends and family are invited to this very special event. Mark it on your calendar or put in your smart phone for Thursday, December 8th from 8:00 am to 6:00 pm. In northern climates when the heavy snows fall and the sun moves south, many people find their moods shift from upbeat to downright depressed. The severe form of winter depression–called seasonal affective disorder, or SAD–affects at least two million North Americans. Another thirty-nine million experience milder symptoms of moodiness and extended sleep patterns that somewhat resemble hibernation. Some effects of SAD are listed below. They may be more than just symptoms of cabin fever. They can suggest a biochemical reaction caused by a lack of exposure to sunlight. Like all living things, we humans are sensitive to the seasons and sunlight. We secrete a hormone called melatonin, which helps us sleep at night and stay awake during the day. Melatonin production is directly linked to sun exposure. So, as the days get shorter during the winter, our bodies produce more and more melatonin and we can literally feel like going into a cave and hibernating. Many SAD sufferers manage their seasonal depression with daily exposure to full-spectrum lamps or light boxes. By getting daily doses of natural light, they can fool their brains into thinking it’s summertime, and their need to sleep decreases. Recent research shows that timing these light therapy sessions to our natural biological clocks is even more beneficial than usage during the day. Exposure to natural spectrum bright light for thirty minutes on awakening is twice as effective as evening sessions, and one study found this practice actually had an 80 percent chance of sending SAD into remission. Parker Colorado gets 300 days of sunshine per year. Get outside! Luckily here in Colorado we do have many days where the sun is shining brightly even if the temperatures are low, so if you don’t want to invest in an artificial light source just bundle up and get outside on the beautiful cherry creek trail. It will do your mood and your body wonders.